The Movie Lot provide comprehensive traffic management packages for all sectors of Film and Event work. Our in-house design team supply detailed layouts and CAD work drawings, which enable you to professionally plan and prepare your production or event safely and securely. We act as the link between the creative process and ensuring that road filming is carried out safely and under the strict highway codes. The Movie Lot operatives are trained to National Highway Sector Scheme accreditation 12A, 12B, and 12D standards, have years of experience in the film sector, and they will carry out the safe implementation, maintenance and removal of Traffic Management schemes. We offer cost effective solutions while keeping the shoot safe and our supervisors will work closely with the first AD to ensure communication channels are open. 1 . Why do we need traffic management ? When filming next to or on a public highway, it is a legal requirement to have control of the road. This will involve applying to the council/borough and highways for permission to film at the desired location. If this operation is not carried out with the correct paperwork, qualified personnel and signage and there is an incident then the producers/1st AD are liable for prosecution. 2. Pick a reputable traffic management company. Ensure you contract a qualified and fully insured company such as The Movie Lot and the trained supervisors and operatives have the relevant qualifications to carry out the work safely. 3. What type of traffic management do I need ? 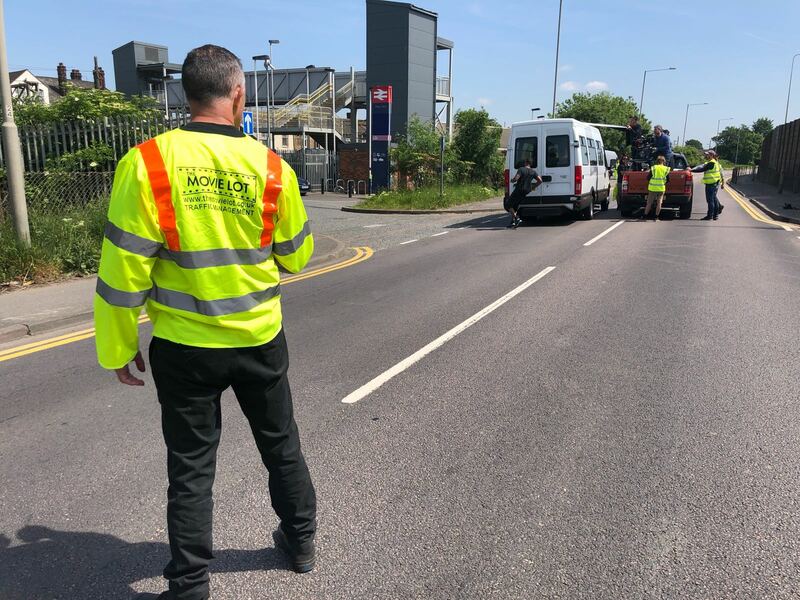 Have a site meeting with one of our experienced Traffic Management supervisors who will advise you on if you need a road closure or TTO (temporary traffic order) based on the acton in front of the camera. 4 .How long will a Traffic application take ? 5 .Why do I need to send a TM plan with the application to the council/borough/film fixer ? The Movie Lot will produce a Traffic management plan and RAMS in agreement with the Production derived from the Site visit, the plan will need to approved by the highways department. The RAMS (risk assessment and Method Statement) will be signed off by a qualified H&S individual to ensure that the process is managed safely. 6. Any pre signage needed ? 8. How long will the signage and operatives be expected to set up to control the road ? Depending on how many control points and how many signs are needed to be, ask the supervisor before the works start and ensure they are early enough to put all the signage and operatives in position. 9. Will we need to divert the traffic ? 10. Do the traffic operatives need to wear full high visibility uniform ? Yes, its a legal requirement and safer as it makes them more visible to road users. 11. Can we change the set up once we start filming ?